Solid State drives are common place in today's fast paced PC environment. As most will know the SSD has multiple benefits to the user, not least performance so it is puzzling why few manufacturers have taken this leap of performance to external storage devices. It used to be the case that Solid State technology was prohibitively expensive and because of this expense, storage size was limited with SSDs usually being hte preserve of boot drives with older mechanical hard drives used for mass data storage. Today we see that SSD prices have fallen dramatically and with that much larger storage capacities are available. External devices are for the most part still bulky, requiring an additional power source or at the least, a large and heavy enclosure making portability problematic. 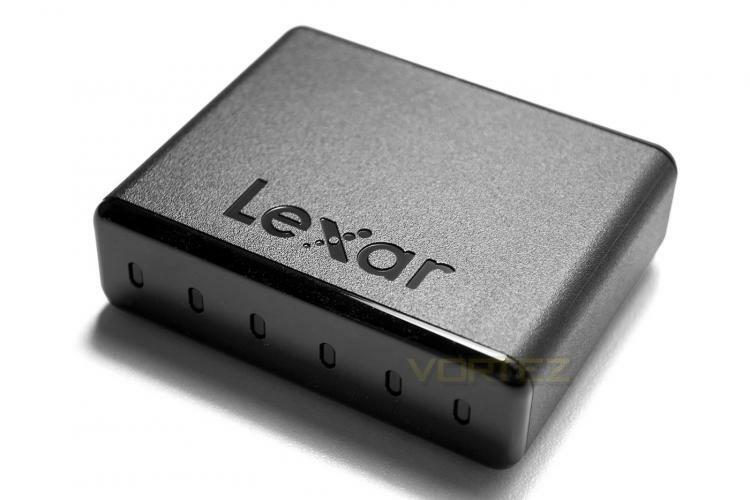 Lexar look to solve this problem by combining the performance of an SSD with the throughput of USB 3.0. Today's sample offers a huge 512GB of storage courtesy of Micron technology and is an external drive that can be used alone or as part of Lexar's Workflow product line. Connecting up to a USB 3.0 (USB 2.0 backwards compatible) means that most modern PCs or laptops can take advantage of this diminutive storage device that promises to offer SSD speeds without a compromise on storage capacity. The Lexar® Professional Workflow line of products includes your choice of two four-bay reader and storage drive hubs, a selection of card readers, and two storage drives. Its innovative, modular design lets you create a custom setup, while its high-speed performance lets you offload and back up your work, faster. Pick and choose the right combination for your needs, and take control of your workflow.